Since September 2005, the Mornington Peninsula have required mandatory desexing before registration for cats over three months old. That means the council has had the legislation for nearly twelve years. The shire already had a 24-hour curfew on cats that requires they be confined to the property of their owner. According to their Domestic Animal Management Plan 2013 - 2018, the number of cats registered with the Shire has dropped from 6,355 in 2008, to 5,827 in 2013. In real terms this indicates a significant change with more cat owners failing to comply with legislation and choosing not to register their pets. The situation with regard to cats being registered and microchipped when they are taken into care at the Community Animal Shelter is also disappointing. Community Animal Shelter data for the first five months of 2013, indicates that 96.9% of cats impounded are unregistered and that 92.1% are not microchipped. So these guys know without a doubt, that despite the claims of supporters of these kinds of laws, cat laws do practically nothing to help the number of cats entering, or being reclaimed from the pound. In fact, passing more and more draconian legislation against pet owners tends to drive down your existing registration rates, as people try to avoid over-zealous council regulation and charges for services in which they see no tangible benefit. In short - if you treat pet owners like the enemy, they'll start treating your animal management services with equal distain. But that didn't stop the Mornington Peninsula from tooting their own cat management horn. Except, this turns out to be nothing even resembling true. Firstly, they don't include the figures for 2012/13 in their own report, so its impossible to assert that there was any decrease seen. Secondly, the figures went UP in 2010, making the statement disingenuous at best. The low registration rate of cats continues to be a barrier to the successful reuniting of cats with their families… Due to the combination of lack of ownership, containment, protection and care, many of the cats were in extremely poor health and exhibited aggressive behaviour which led to 42 cats being euthanised in conjunction with our veterinary partners. 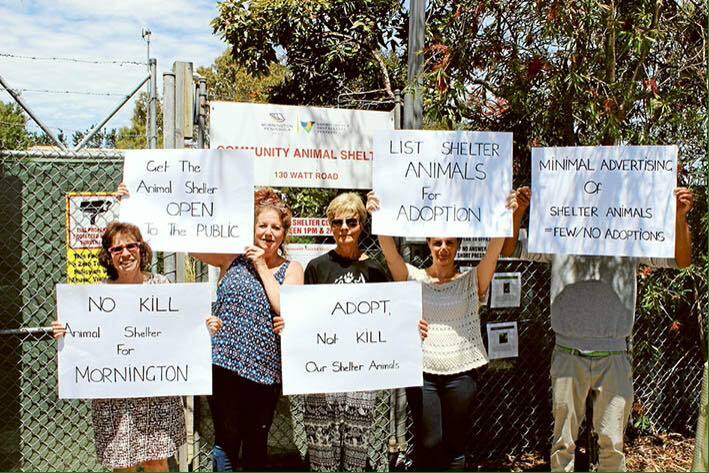 So how much did the Mornington Peninsula Animal "Shelter" do to help these cats? ... while a staggering 42 cats were killed. 72 went to rescue, making rescue groups taking cats for free the only real lifeline for these animals. And 20 were unaccounted for in the report. *making the yearly rate approximately 640 cats, and nothing like a reduction in impounds since 2006. And what did the Mornington community pay for this meh level of animal care? Plus an additional $326,000 was spent on the Mornington Peninsula Animal "Shelter"
Or about $1.1 MILLION dollars of community resources being invested in a mostly completely failing animal management team. But what about the dogs?!? I hear you protest. Maybe they're doing a good job with those? Well thankfully of the 279 dogs from the three-month report, 242 of those went home leaving just 37 to really need the Mornington Peninsula Animal "Shelter's" assistance. 4 dogs were adopted from the pound. But what is truly interesting about this particular council, is the volume of revenue generated by the community's pet owners. Because, often pet owners are seen as a drag on the community. That is, we should simply shut up and be grateful for whatever level of service our local community pound provides, as revenue is hard to come by and what do you want them to do - there's no money to do a better job. Council charges $37 for a desexed cats, paid yearly. There are 6,355 cats registered in Mornington. While council charge $39 for a desexed dog, also paid every. single. year. For a total of around $1.2 million dollars in pet registration fees every year. It's absurd. It's inexcusable. And its probably happening in your own city too.